We’re so excited that you have taken time to stop by and learn more about Waller Baptist Church. Take a look around and check us out! You will find that this is a place where everyone is made to feel like part of a family; a church where we all strive to Love God, Connect People, and Make a Difference. A desire to serve our community, a history experiencing God’s grace, a firm foundation of beliefs guiding our actions, and godly individuals called to ministry…these and more make us who we are. 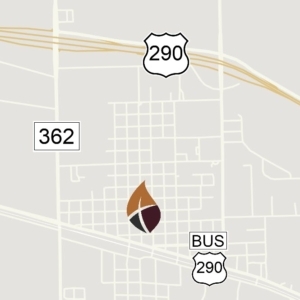 Located in downtown Waller – one block north of Business 290, between FM 362 and Field Store Road. Seasoned Saints Monthly Luncheon & Games!